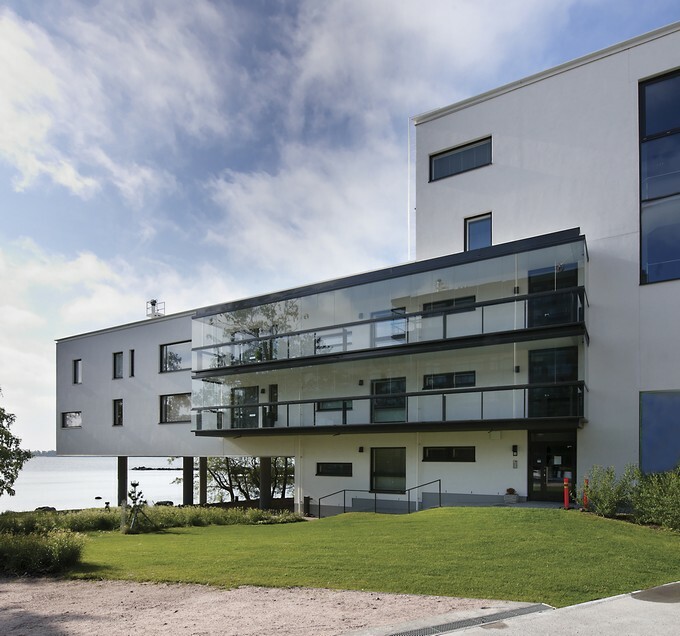 Merenkulkijaranta is a modern and prestigious residential building complex with a footage literally on the sea. The external walls are made of thick sandwich layers to enable a longlasting facade with a high sound insulation property. To enable the architect "free hands" in the interior design, radiators were not to be considered as a solution for heating. 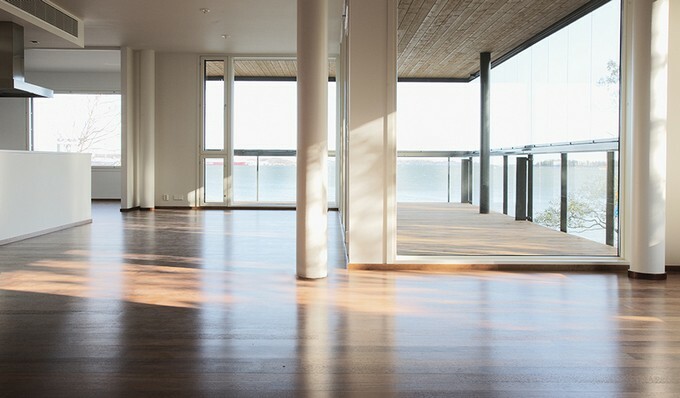 For this reason a high demand for a robust and comfortable floor solution was needed, with high sound insulation performances and effective floor heating solution. The substrate was a concrete hollow-core slab which was primed with MD 16 and leveled with weber vetonit 110 Fine. Other floor accessories were used (4960, 4962 etc.) to achieve the best outcome. 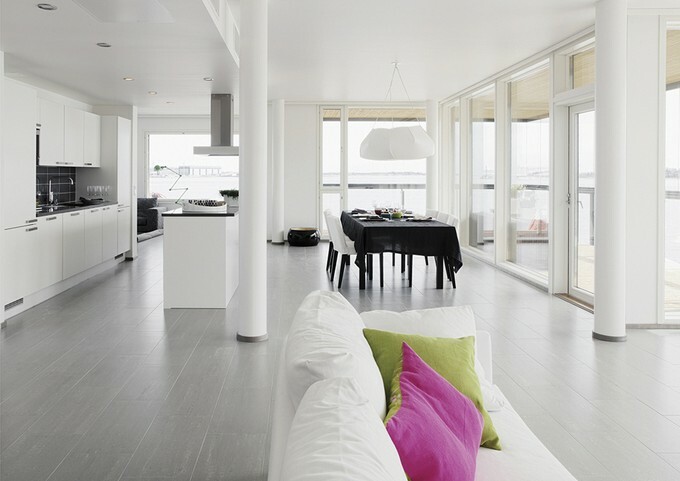 The weberfloor 4900 Comfort floor system, a system of acoustic EPS plates with integrated aluminium plate for high heath conductivity, was installed in all apartments. The floating screed on top of the comfort floor was the very fast setting and drying weber vetonit 120 Reno Saneeraus Plaano.